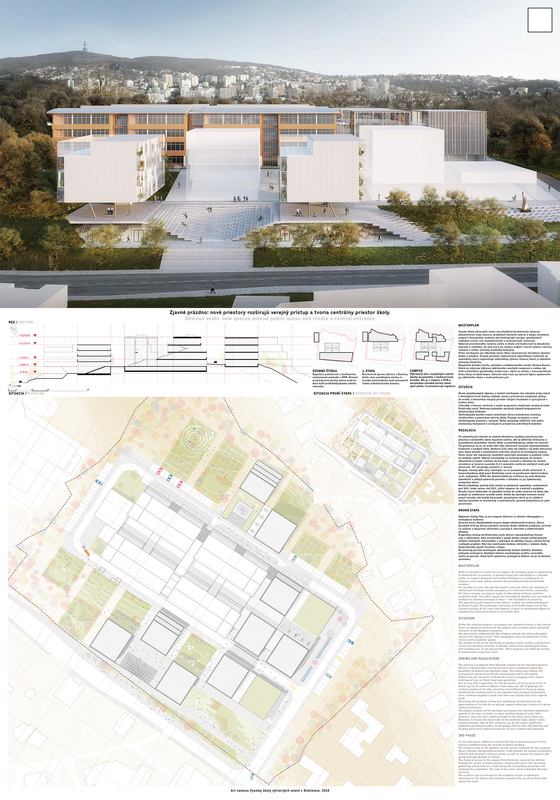 The volume scheme of the proposal is based on the urban grid provided by the geometry of the existing building by prof. Dušan Kuzma. The system allows for flexible development of the whole area of the campus throughout all of the phases. The main quality of the proposal is the placement of the currently a not-existing new entry and adjacent transparent technological centre, which is a direct continuation of the unfinished original project. 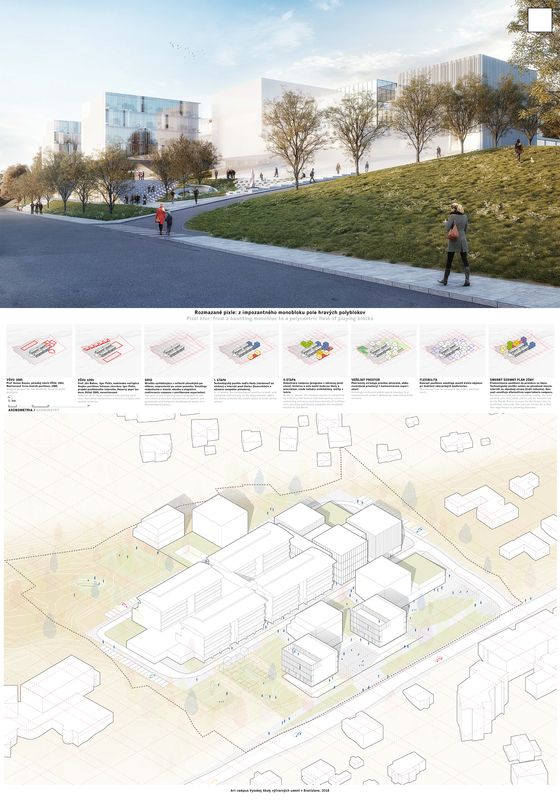 The proposal creates an opportunity for very representative main entrance to campus of AFAD. 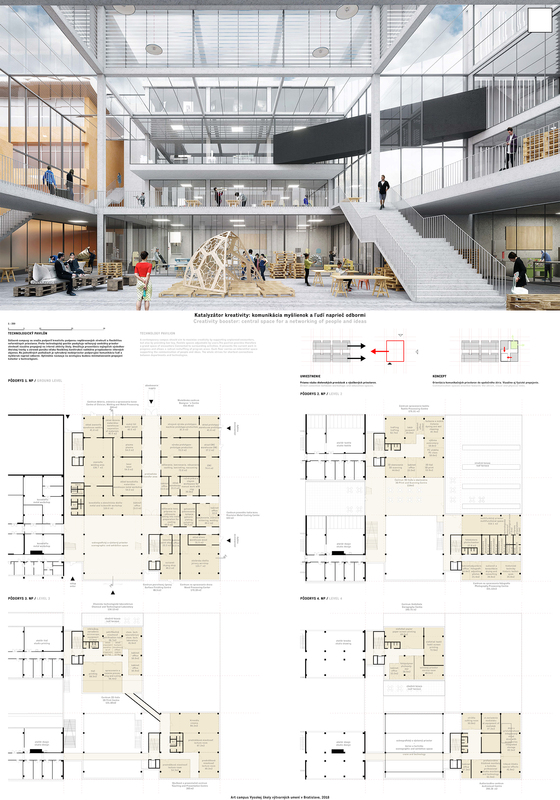 The connection between workshops, existing school, original and new architecture and current workspaces of the art academy of the 21st century is essential contribution of the proposed solution. 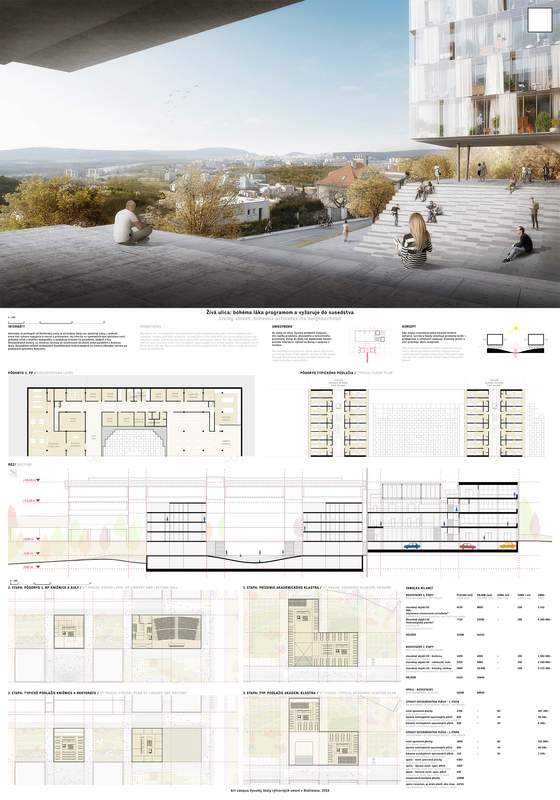 The dormitory, which is of a pavillion type, placed at the south side of area, creates a desired urbanistic dialogue with the surrounding residential structure, however, it does not take into account the ground plan of the zone and restrictions of the competition.